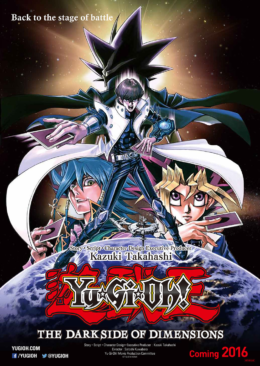 Podcasts about any anime episodes, seasons, or films. Alex Bonilla, Sam Quattro, & Michelle Anderer discuss Neo Yokio, the six-episode anime created by Vampire Weekend frontman Ezra Koenig. Dylan Hysen, Steve Zec, April Collins, and Beatriz Mourad recap episodes 4, 5, 6, and 7 of the 2017 anime Little Witch Academia, now on Netflix! Dylan Hysen, Steve Zec, April Collins, and Beatriz Mourad recap the first three episodes of the 2017 anime “Little Witch Academia” (now on Netflix!). Dylan Hysen, Hayley Nabuurs, and Beatriz Mourad rank their Top 5 Hayao Miyazaki directed films. This discussion is suitable for Miyazaki newbies and experts alike! Dylan Hysen and Sam Quattro look back on the 2006 anime, Welcome to the N.H.K. 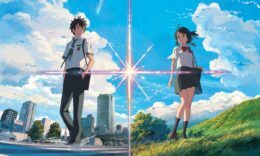 Dylan Hysen, Sam Quattro, and Ally Martin discuss the 2016 Makoto Shinkai film, “Your Name” (Kimi no Na wa). Dylan Hysen and Ally Martin discuss Season 1 of Yuri!!! On Ice including the finale, the season as a whole, and Yuri and Victor’s characters and their romance.